Our leadership team recognizes the authority of God, and realizes that we are shepherds who serve under the Chief Shepherd, Jesus Christ. We desire to devote ourselves to prayer and to the ministry of the Word. Our passion and goal is to equip the congregation of American Lutheran Church of Sun City for the work of the ministry until we all attain maturity in the fullness of Christ. 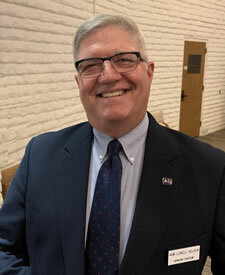 Pastor Lowell is enjoying the privilege of serving American Lutheran Church and looks forward to its exciting future ministry opportunities. Pastor Lowell is a second career pastor and is so happy he can share the good new of God in Christ rather than thinking about debt service coverage ratios! His family means the world to him including his wife of 36 years. Deborah, son Andrew and his dog Annie, Jordan and her husband Brent, and son Joseph. He is so fortunate to have his parents, Ben and Evelyn living with his sister, Carol, in Indianapolis. Pastor Charles T. “Chuck” Paulson attended Luther College in Decorah, Iowa, and Luther Theological Seminary in St. Paul, MN. Most of his ministry prior to ALC was in California. After official retirement in 1997, he served several interims, but mainly with American Lutheran Church, where he has served since 2002. He is responsible for visiting prospective members and inviting them to be a part of our American Lutheran Church community. 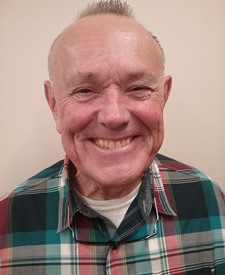 Gary Ulrich has served for over 32 years in child welfare ministries of the church. These ministries focus on youth and family. He also served rural congregations in part-time and supportive roles in Iowa, Illinois, and Ohio. Upon his retirement in 2012, Pastor Ulrich moved to Sun City and became a faithful member of ALC. He joined the pastoral staff in 2013. Pastor Gary R. Garvey is pedigreed from Concordia College, Moorhead Minnesota and Luther Theological Seminary in St. Paul Minnesota. Since 2009, he has served several interims in churches in the northwest Minnesota Synod and co-led two 10-day missionary trips to Ecuador, caring for abandoned and abused children and mentoring Concordia student future missionaries. He has also fed and clothed the hungry in the Mid East. Pastor Garvey is excited to join with the family and staff of American Lutheran Church. His training includes: Clinical Pastoral Education at Bethesda Hospital in St. Paul Minnesota, and 3-years Senior Chaplain at Keesler Regional Medical Center in Biloxi, Mississippi. He served for 34 years internationally - initially with the Marines, then 27 amazing pastoral years with the Air Force Chaplain Corps. His family includes his wife Dianne, their three sons, and two granddaughters. Pastor Garvey and his wife, Dianne, spend the summers at their lake home in Minnesota, close to family and friends.